How Do I Populate This? I'm using the Moto Z2 but on AT&T. I've inserted an AT&T SIM in it and it works mostly fine. The difference is that on this phone, I'm on H+ more often than I was with my last AT&T phone. The web says I need to do what is in my screenshots. Does anyone have advice? Thanks. Leave it as it is. The Z2 doesn't have a great 4G receiver, that's why you're on H+. Thanks Rukbat. Is the Z2 gonna perform well on AT&T? I'm just wondering if I should go back to my E4 Plus. I don't want to do that but I want to maximize my signal. How is it going to perform on AT&T? That depends on how strong the AT&T signal is. Not as well as a phone with a more sensitive receiver, but better than one with a less sensitive receiver. The question si, is AT&T the best signal near you? If another carrier has a better signal, you should be using that one. 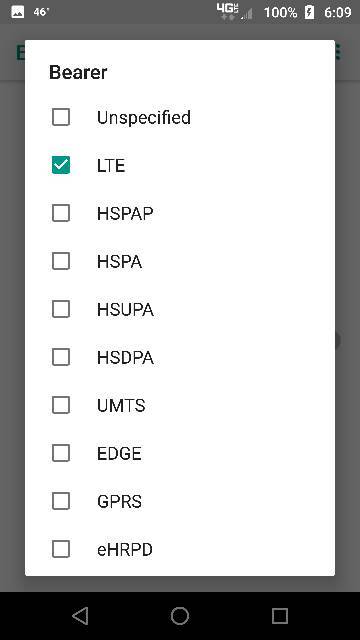 That's how you decide on which carrier to use. Not phones, not even plans or prices - by signal. How do i find out if my lg android phone has been compromised by another user or hack?